Life is rarely what we think it is or will be; however, for many of us we accept what it is without ever really investigating the why of it. This is not the case for Sylvie. She has always known, though destitute and with no family of her own, that the life she is living is not the life she is supposed to have. Deep within, Sylvie recognizes that she is different. Her differences, regardless of how she fights to keep them hidden, hold her back and apart from others, on the outside of true acceptance. 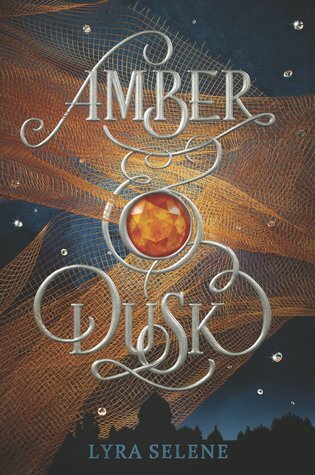 Armed only with an amulet and a belief that her ability to create illusions makes her a legacy, she sets off for Amber City to claim her place within the royal palace. Yearning for something she believes she deserves, Sylvie quickly recognizes that ignoring life’s lessons is never easy to do and that they shape each of us, for better or worse. On a quest for knowledge, she uncovers dark and sinister truths with far-reaching wounds. The life she had, the life she believed she deserved, both gone, Sylvie embarks on a journey that will cause her to question everything and accept nothing less. In her debut novel, Lyra Selene shows readers the best and worst of humanity. She paints a picture of opulence and hides within it the secret message that life is more than riches, more than blind acceptance of what is in front of us. Some battles, like Sylvie learns, go beyond what happens to us or because of us. As readers, we accept this notion and wish for the greater good hinted at in Amber Dusk. 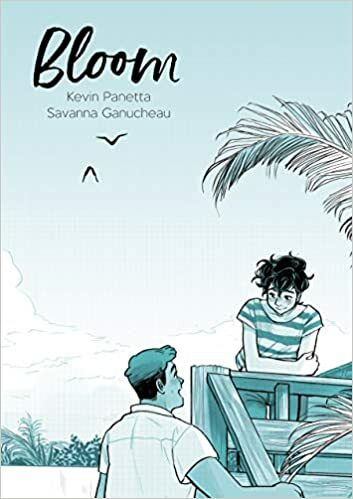 It’s the summer after Ari has graduated from high school, and he hopes to move from his sandy beach town up to the big city with his friends and make a music career. However, his family needs his help running their struggling bakery. The solution, Ari thinks, is to hire someone who can take his place. Ari hires Hector, a culinary school student who has come to town for the summer to sort and pack up his deceased grandmother’s house. Hector loves to bake, and soon Ari is not only training Hector to take his place, but Hector reminds Ari that he does care about the work at the bakery. The two boys fall in love, and business is thriving. Then Ari does something very difficult to forgive, and both boys have to make some hard choices. This graphic novel is well developed, with characters that have sufficient histories to deepen their motivations and engage a reader’s affection. Kevin Panetta has written a very sweet romance, complicated realistically by Ari’s immaturity and trouble transitioning to adulthood. Hector provides moral balance and a healthier view of family. Ari’s struggle with unhealthy friendships and the responsibilities of growing up creates the relationship drama. Savanna Ganucheau’s artwork is lovely, with details that provide interesting symbolic clues to characters’ feelings and thoughts, and beautifully drawn montage scenes of Ari and Hector baking together. I found myself paging through my favorite scenes over and over again to study the drawings. The themes are weighty and worthwhile- the role of loyalty and hard work in finding happiness, and the role of forgiveness in love. After suffering a knee injury at the start of his summer vacation, Avery spends most of his summer stuck in deep contemplation. He is coming to terms with his sexuality and he is in love with his best friend, Luca. He is falling into his family’s history of alcoholism- both his mother and grandfather struggle with addiction. And then he suffers loss. His grandfather is the father figure in his life, and he passes away from complications of drinking and diabetes. To find his identity, to fight his own addiction, and to cope with his grief, Avery turns to pop music and poetry. He is a budding poet himself, and his English teacher lent him a stack of poetry books to read over the summer. He falls into conversation with Dickinson, Plath, Sexton, and others during his episodes of drinking and pain medications. He and Luca communicate their friendship and romantic feelings through pop music mixes. Avery survives on the power of words. 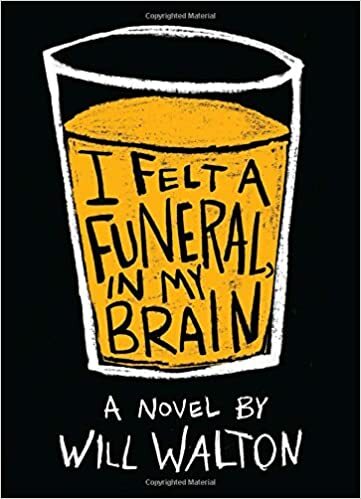 I Felt a Funeral, In My Brain may be a difficult read for some. It is a nonlinear narrative written in both poetry and prose. There are references to poetry greats– and reading them would enhance one’s reading of this book, too. At times, the story seems disjointed, and yet the reader trusts that Avery will find clarity in his sexuality, his relationship with his mother, and the grief he feels for his grandfather. Walton has written a brilliant novel, one that teen and adult readers will feel. It grips the heart as it travels through the murky waters of adolescence and loss, but it also reminds us that life works itself out. I Felt a Funeral, In My Brain is proof that music, poetry, friendship, and love have healing powers, no matter the struggles one may be facing. 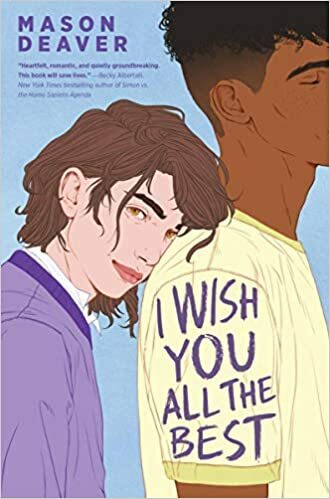 Mason Deaver’s novel I Wish You All the Best follows Ben, a non-binary boy, who is facing the rejection of their parents. While at first the use of gender-neutral pronouns is slightly confusing, the reader becomes acclimated to their use and learns, along with some characters in the book, to be aware of how people perceive their own identities. Within this review I will be using gender-neutral pronouns for Ben: they, them and their. As the story opens, Ben has been thrown out of their home as soon as they reveal to their parents that they are non-binary. Caught unexpectedly by his parents’ harsh rejection, they call their sister, Hannah, whom they haven’t seen or spoken with in ten years. Despite the painful past between the brother and sister, she and her teacher husband take Ben in, enroll them in a new high school, and encourage them to see a counselor. Ben, who is a talented artist, finds solace in their art and several new friendships. Chief among these is Nathan, a boy who has reached out to Ben, sensing their pain. Ben is also supported by an on-line friend, Mariam, a non-binary girl, who encourages Ben to take risks and believe that they can experience a fulfilling life. Along with the growing romantic relationship between Ben and Nathan, the reader learns the backstory concerning Hannah’s abrupt departure from home ten years earlier. A dramatic and painful encounter with Ben’s and Hannah’s parents at a high school art show, triggers both Hannah’s revelation and Ben’s emotional unraveling. Hope is not lost however, as both Ben and Hannah face their present and their past together. Despite parents who have little empathy for their son, Mason Deaver has filled this story with characters who are trying to live as authentic, kind people. Ben’s sister and her husband, Ben’s friends at high school, and Mariam, are the types of people we hope will meet and support the teenagers we love. However a reader might describe their own gender identity or sexual orientation, this novel follows a group of characters for whom readers will root. Tamar is living in a world of hurt, torn between urges to harm herself and wanting desperately to just disappear. After her friend Iris dies from a fall in the river where she and Tamar were partying, Tamar blames herself and wishes to die, too. Luckily, her suicide attempts are interrupted and Tamar is admitted to a behavioral health facility for young adults in Lime Grove, outside of London. At first, Tamar is wary of the entire program–the noxious pink walls, the freezer-burned vegetable lasagna, the ridiculous jokes and high fives of Nurse Will, and especially the suspiciously intrusive questions of her therapist, Dr. Flores of the ever-changing neckties. In the space of a week, Tamar and her fellow patients have managed to break almost every rule at Lime Grove. But while Tamar is struggling through her first home weekend and one of her closest friends in Lime Grove goes missing, Tamar begins to realize there just might be something to the occupational and psychiatric therapy she’s undergone. Written in a riveting first-person narrative and interspersed with an eerily objective third-person flashback, On a Scale of One to Ten provides a realistic view of a young woman’s exhausting struggles first to die, and then finally to live and be well. Reminiscent of Marion Dane Bauer’s On My Honor and JJ Johnson’s Believarexic, Ceylan Scott’s debut novel deserves a spot on the shelves of quality contemporary realistic fiction for young adults. Adele was five when she first learned she could see the dead. Her mother told her never to tell anyone, especially her Grandpa. But in fourth grade on a school trip to the Oregon Trail museum, Adele talks to a young woman who had died on the Oregon Trail, and her teacher thinks she is hallucinating. Her Grandpa sends her to a psychiatrist who diagnoses her with schizophrenia. The antipsychotics he prescribes give Adele nausea, drowsiness, trouble concentrating, and a shuffling walk. Adele takes them for seven years and, due to how the other kids treat her, she has difficulty fitting in at school. Things change in high school when Adele accidentally misses a pill and feels so alive that she decides to stop taking them. Two weeks later, her ex-best friend, Tori, who has been murdered, calls out to her in a remote corner of Gabriel Park, asking for her help. Adele agrees to help Tori find out who killed her, but in trying to help solve the murder Adele becomes a prime suspect in the crime. In an attempt to avoid being charged for the murder, Adele must ask herself whether she is mentally ill and whether she herself committed the murder. 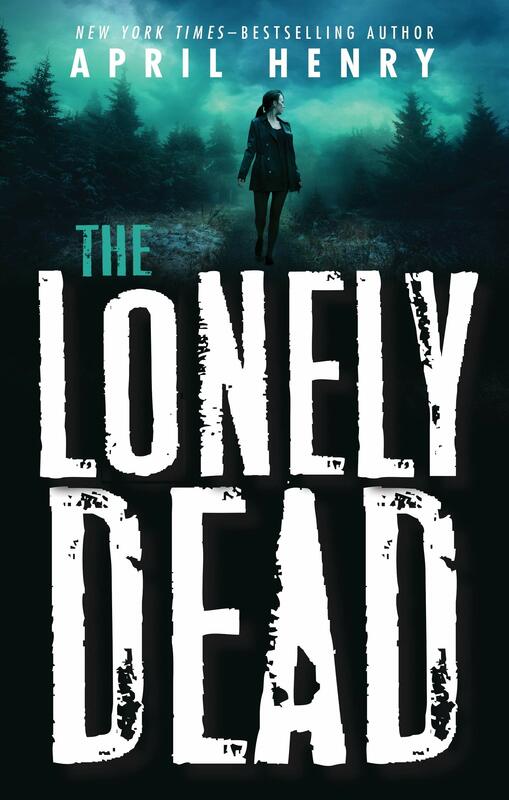 In The Lonely Dead, a suspenseful mystery thriller for young adults, April Henry creates a realistic situation with a twist of the paranormal. Adele struggles with issues familiar to all teens—wanting to fit in with her peers and the loneliness that comes from being different. She digs deep in her quest to understand whether she is suffering from mental illness and how to handle the fact that she talks to dead people. And through the challenge of trying to help someone she cares about, Adele finds out who she really is. Even the lonely dead help her discover what is real and true. Seventeen-year-old Travis and his family attempted to survive in Alaska after fires destroyed the land and the United States government abandoned the state. Travis’s father had decided to try to find a way to keep going, even though Travis’s mother wanted to get on the last of the buses sent to remove people from Fairbanks. After several years of scavenging, the escalating violence and diminishing natural food supplies push Travis, his parents, and his younger sister, ten-year-old Jess, to try to escape to the Arctic Circle to find a way out. The family’s journey takes a turn when Travis’s father is killed and his mother disappears. With a note from their parents urging them to head south along with few supplies, Travis takes over the mission. Every person they come across is desperate, and some are out to do them harm. Along the way, Travis and Jess discover what bonds of family and friendship mean as well as what it takes to survive Alaska’s harsh wilderness. Filled with details about Alaska’s history and natural world, The Wild Lands offers teens looking for wilderness survival a way to imagine themselves in life or death situations. There are many instances of personal violence and some larger themes of imperialism and resource exploitation, but teens who love the outdoors will enjoy this fast-paced read. Princess Aurelia is trapped within her own kingdom. She is a blood mage within a land that is suspicious of magic (and heavy on witch-burning). Through spells, she can, among other things, enter into other people’s pain and raise the dying. And though her royal duty is to bring two warring realms together by marriage, Aurealia is more comfortable walking among the people and reading her magic books. When an assassination attempt forces her to flee into enemy territory, Aurelia must figure out her own complex royal mythology to survive. Foes, allies, and a disarmingly attractive commoner with his own secrets are at hand. In her debut work, Smith has adapted the framework of the classic fairy tale “Goose Girl” to lovely effect. Readers will appreciate Bloodleaf’s rich, textured language depicting Aurelia’s journey from sheltered girl to empowered woman. 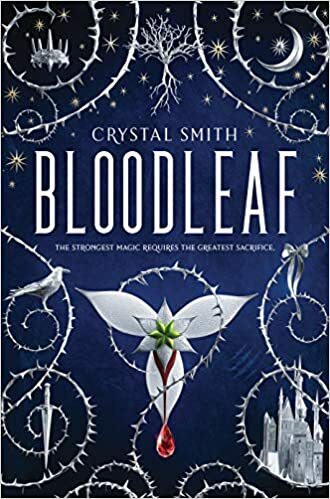 Fantasy is not treated as mere backdrop here; Smith leans into this aspect of the story, offering evocative and sometimes gory scenes to emphasize the cost of magic to Aurealia’s body and her peace of mind. Finally, the novel’s political allegory about a kingdom building walls to keep ‘others’ out seems particularly resonant for today’s readers. Are you a lover of traditional fairy tales like Hans Christina Anderson’s The Little Mermaid? If so, you might enjoy this new feminist approach to the classic story of a beautiful mermaid and the man she spots on her journey to see humans. Muirgen, or Gaia, as her mother called her, has turned fifteen, the year that brings special privileges to the mermaid underworld. She has five sisters, but she is her father’s favorite due to her luscious hair and beautiful singing voice. Her father, the Sea King, is in the middle of a fierce battle to protect his underwater world and control the kingdom he has always dominated. While the Sea King never believes his daughters are worthy of being equal in the male-controlled underwater world, Gaia is in search of what happened to her mother and her father refuses to share the truth. The day after turning fifteen, she swims to the top of the ocean to discover the modern world and sees a group of teenagers on a boat celebrating a birthday. As a storm rages, she decides to save Oliver, a handsome young human who Gaia instantly falls in love with. Due to her deep love for Oliver, she must find a way to spend the rest of eternity with him, so she visits the Sea Witch to ask about the sacrifices she must make to become human. 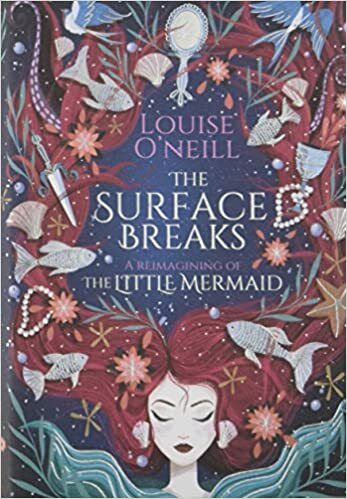 In this “reimagining” of the famous fairy tale, Louise O’Neill takes another bold step into young adult literature with this feminist approach as she retells the famous fairy tale of love and sacrifice. The traditional fairy tale ends as Gaia realizes that the human world is not for her. This book is recommended for those who are seeking a strong female protagonist who refuses to follow traditional rules. ALAN Picks is a regular book review column compiled and edited by Dr. Bryan Gillis of Kennesaw State University. It features the newest YA titles, reviewed by teachers and librarians. A complete archive of all ALAN picks is available on this page.